Our day started with final packing and a bit more cleaning of the RV. Timo and I dropped Richard and Rob’s bikes off at the airport. 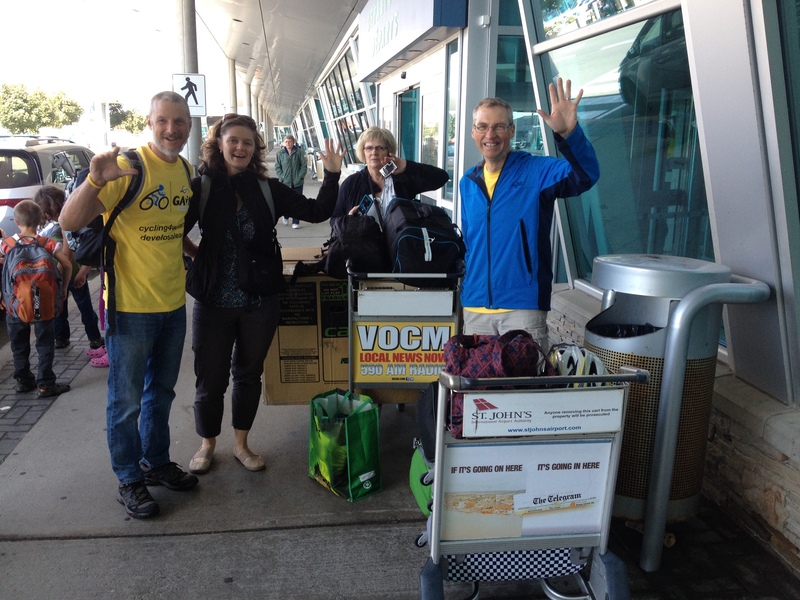 Rob, Richard, Jacquie and Dawn Jacquie’s mother will fly out of St. John’s. Timo and I have been tasked with returning the RV to the FraserWay RV location in Halifax. Our drive to Argentia was beautiful. We cycled some of the same roads but in the cloud and rain. Sure is a nice area of lakes, rocks and trees are similar to a high alpine landscape. 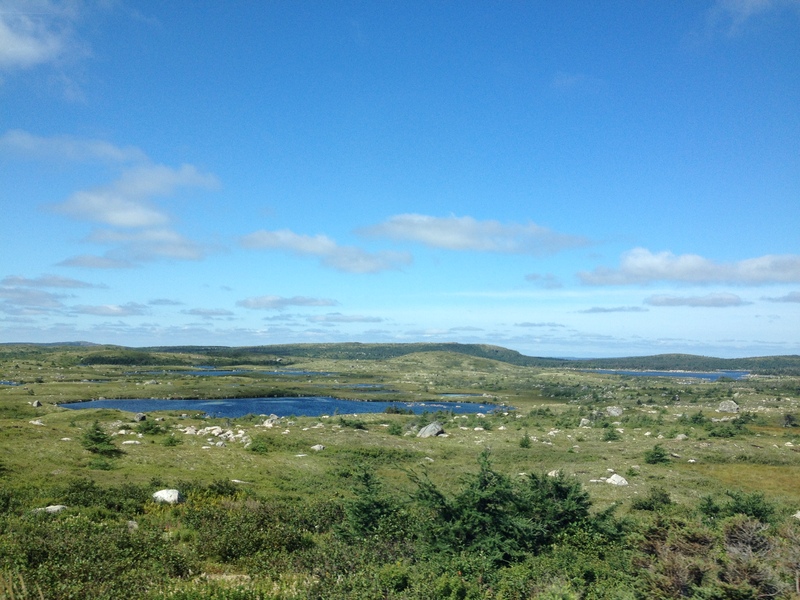 After almost 6 days of rain and cloud in Newfoundland it was nice to see the country side in the sunshine. Just as we were boarding the ferry we got a text from Richard and Jacquie. They will have to spend another night in St. John’s because of flight problems. The ferry is a 14 hour cruise. 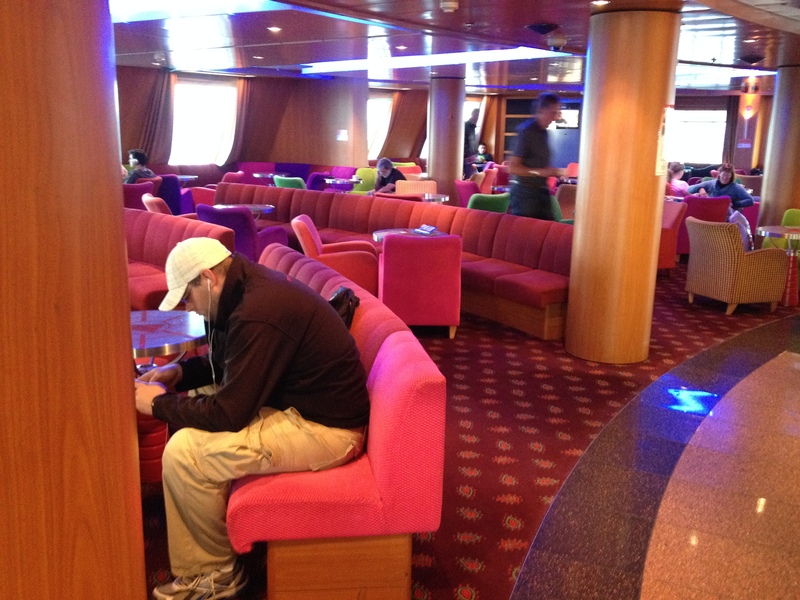 The boat is really nice and actually reminds me of a cruise ship with nice dining room, lounges and even cabins. We had a very relaxing ride with calm seas. Seemed strange to have a completely free evening. We even watched TV and the news. Plus seemed so strange to travel by something other than a bike. Looking forward to getting home. I have followed you across Canada! What an achievement ! Happy belated birthday? Have a safe trip home! 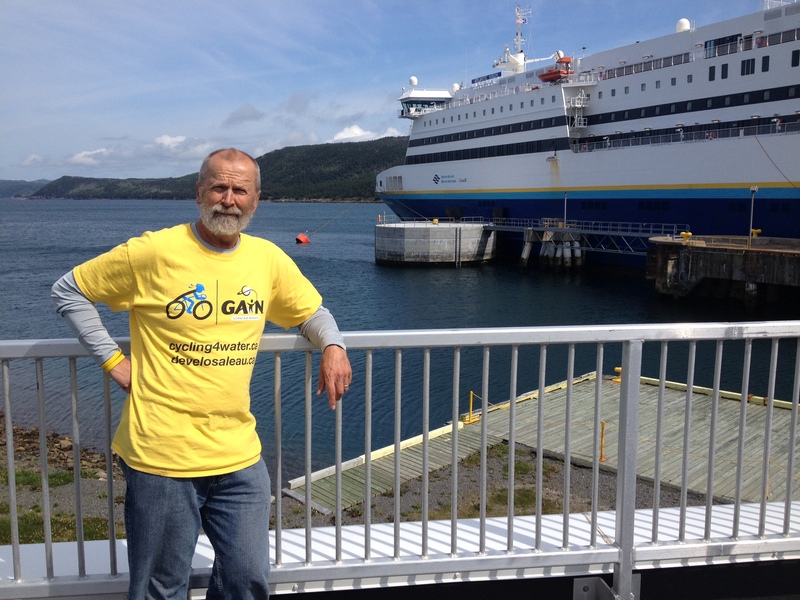 Wishing you all Congratulations on Cycling 4 water & God Bless you for all the fresh water people will get to enjoy.